Rubik's an excellent tool for training the mind, but he can also play the role of tools for creating works of art. Located in Toronto, an art studio Cube Works Studio creates the most famous puzzles huge paintings. Collect all even one Rubik's cube can be difficult, but in these pictures are thousands, which makes the process of their creation is even more difficult. 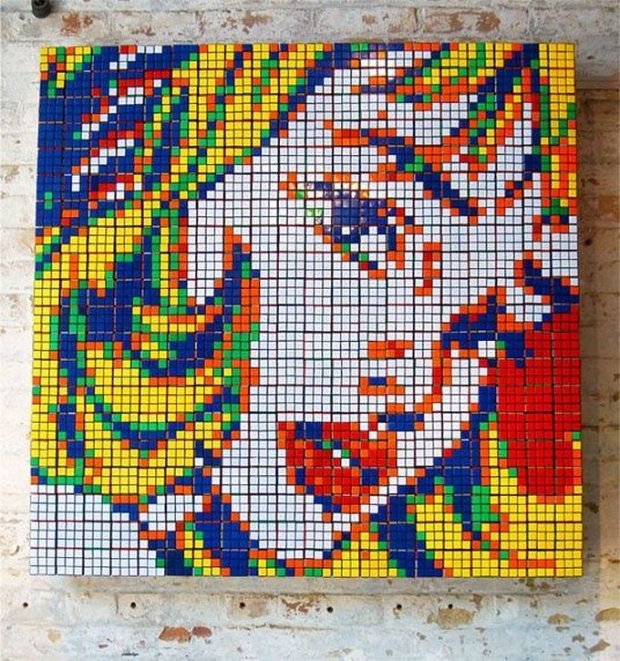 Studio employees have set several world records, including creating a monumental copy of the Sistine Chapel of 12,000 blocks and the Last Supper from the 4050 Rubik's cube. Probably, Erno Rubik had no idea that his toy would be used as such, but I'm sure he would not be opposed. Dalton Stevens, of Bishopville, South Carolina, received his title "King of the Buttons", after he spent 15 years stitching and gluing thousands of buttons and buttons for all sorts of places and objects. 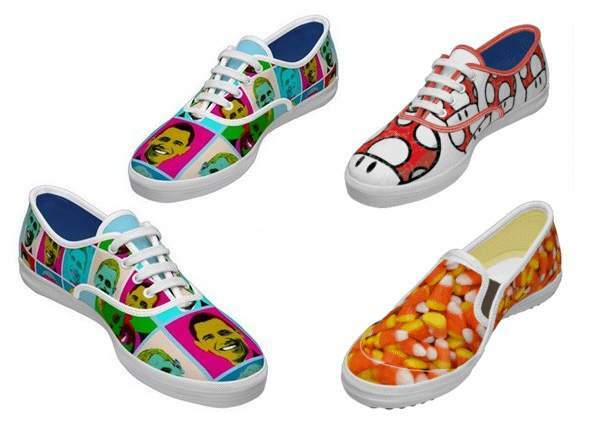 Tired of boring, monotonous shoes? Tired meet in regular Underground "clones"? A couple of famous designers for a long time would cut the family budget. Rejoice! Because now the owner of a bright, comfortable, and most importantly, exclusive shoes and you can get. In each of us sleeps designer. And just two iconic brand casual shoes - Vans and Keds - decided to wake him up, inviting on their official websites a unique service: you can now create a perfect match. Shine, of course. This designer shoes at an affordable price, and, most importantly, the designer - you! Monitor all: from the style and color laces up seams and soles. Choose one of the standard models and an intuitive interface make it a unique step.